Benefits of Avocado For Baby And How To Serve It - Avocado fruit has a variety of nutrients that are needed by the baby such as vitamins, minerals and healthy fats that can support the growth of the baby. This is what causes the avocado is one of the most recommended substitute breast milk feed. The avocado fruit has a natural soft texture, so ideal to be porridge or puree for the baby and avocado fruit has a taste that is not too sweet in comparison with other fruit. Benefits of avocado fruit are very diverse, including as a source of protein, because it has a high protein content compared with other fruits and you can gift avocado puree for baby. Avocado contains only a few carbohydrates that will increase sugar levels, so it will not make the baby excess sugar consumption. Avocado is a good source of vitamin C and K and is needed for growth, as well as tissue repair. Although avocado does not contain high iron but contains folate, vitamin C, B6, and riboflavin owned can help the absorption of iron. How to make avocado for baby ? In addition to avocado fruit is recommended as food for babies because it is easy to serve. We can present avocado to a baby when baby has entered at age 6 months or at least 4 months. Before making a dish of avocado first baby food, we must first know when choosing avocado fruit. 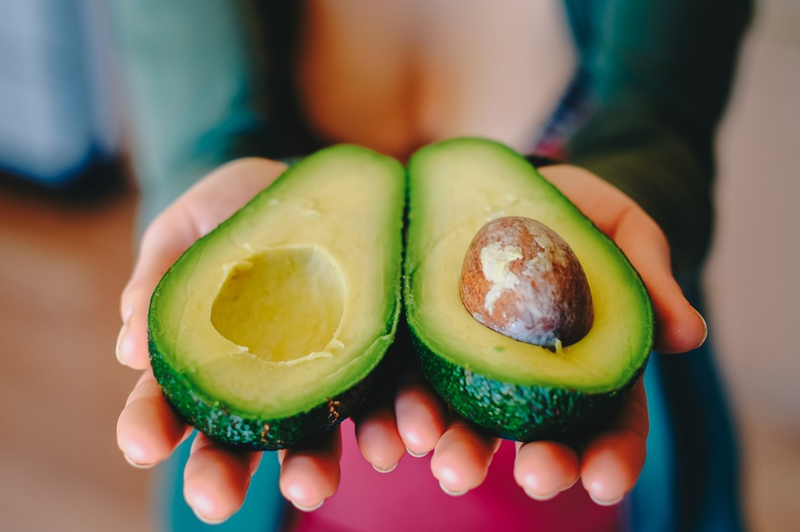 Choose fresh avocado fruit without chemicals, and avoid avocado with black spots or other damage seen on the skin and organic avocado baby food. Choose avocado fruit that has a slightly darker skin color and feels soft when pressed. and do not pick avocados that are too hard or too soft. Next, after we buy the avocado is sliced ​​avocado fruit in the middle, set aside avocado seeds. Then take the contents of avocado with a spoon. After all the contents of the avocado has been taken, remove the skin and blend the contents of the avocado with a blender, but it is recommended to smooth the avocado by using a food filter. Add water according to the baby's needs. Or you can also add milk or formula. Making avocado baby food is very simple you can make by your own and its very clean and your baby will love homemade avocado baby food that you make. If the new baby is 4 - 6 months old, avocado for 4 months baby and 6 month baby should be very smooth and dilute, just like a breast milk resemblance. when the baby is aged 6-8 months, avocado can be presented in the form of a little thick and soft or avocado mix baby food with another fruit is very good.